If you pick up your phone and scroll your Instagram feed, it’ll be clear to you that something is stirring. The fashion and beauty industries are giving way to at least a little change, and social media – thanks to the platform it gives diverse bodies – is less and less obsessed with an image of polished restriction that begins and ends with size zero. And though online posts are always carefully curated (no matter how dishevelled your hair might look, we all know you spent a good fifteen minutes preening in the mirror before taking the pic…), trends are moving away from the pristine, polished looks of yore, and towards real women portraying their real lives via the internet. And nobody does that better than our latest hair, and to be honest, life crush, plus size model Lulu B.
Lulu sprang to attention the same way as many of your current faves – via Instagram. And between the irreverent handle that reflects her personality (@louisvuittoncrocs, I’m jealous) and the many beautiful, body-affirming photos she posts, she has racked up tens of thousands of followers who are fans of her cherubic features, fun, low-maintenance vibe and accessible, easy-to-emulate style. A crucial part of that style is her hair which, typically, we’ve latched onto as our current inspiration. We’re suckers for an ice blonde because it’s one of the things we do best here in the salon, and we’re big fans of her pretty, 70’s throwback wave. Paired with a full, dark set of brows, her ‘do is an uncompromising one not for the faint hearted, but it seems to be doing the trick, as it’s rapidly become her signature in shoots for the likes of Teen Vogue and Gucci. What we love best about Lulu, who is signed with New York’s Wilhelmina agency, which often represents modelling talent outside the confines of the ‘traditional’ industry, is how real she is. That’s something we at Glasshouse appreciate a lot, as we’re always trying to create looks that will work on a day-to-day basis, and not just when coiffed to the nines. Lulu’s blonde – sometimes styled out with grown-out roots – is a great example of this, and she herself, just as likely to post a gross photo of the inside of her mouth as she to share a perfectly groomed selfie, is an honest and refreshing antidote to the samey-ness of so much social media. So get following, pronto. 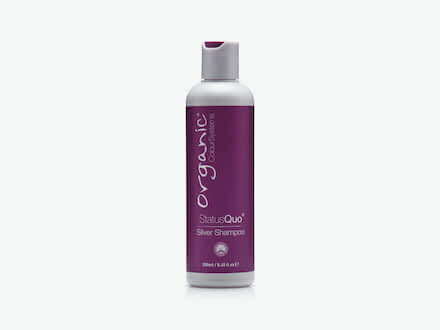 Say no to yellow with Organic Colour Systems’ bestselling silver shampoo that’s gentle enough to use liberally and often. 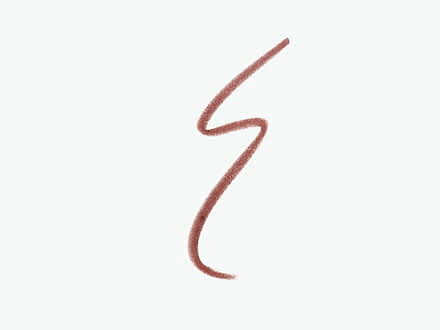 Get the brushed brows of your dreams and make like Lulu B with this handy retractable brow pencil by Jane Iredale.